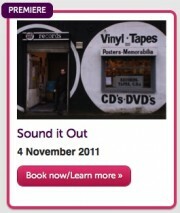 Over the last five years an independent record shop has closed in the UK every three days.SOUND IT OUT (75 mins) is a documentary portrait of the very last surviving vinyl record shop in Teesside, North East England. A cultural haven in one of the most deprived areas in the UK, SOUND IT OUT documents a place that is thriving against the odds and the local community that keeps it alive. Directed by Jeanie Finlay who grew up three miles from the shop. 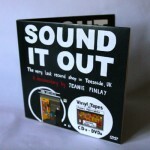 Jeanie Finlay is a British artist and filmmaker who is obsessed with music and it runs through all her work.